Even though Google’s Android is used by a multitude of popular OEMs in the marketplace, seldom does a device release without a few software tweaks from both carrier and vendor. While Samsung has TouchWiz, HTC has Sense, and after the Big Sense 5 update accompanying last year’s release of the HTC One, the Taiwanese company’s soon-to-announce flagship will pack the much-improved Sense 6. Thanks to a leak, we can now take a closer look at Sense 6 running on HTC’s current high-end handset, and by the looks of things, plenty of enhancements have been made. Sense 5 was, like everything about HTC’s mobile endeavors last year, a major departure from anything we’d seen previously. Often, when a company makes so many drastic changes in one fell swoop – a desperate move, if you will – the result is only to compound the shortcomings of the products released prior. But while its fair to say that the HTC One X, One X+ and other top-end devices were simply being swept under the carpet by Samsung, each of the One’s bells and whistles – from BoomSound to UltraPixel – seemed to strike a chord with the consumer market. Sense 5 was the icing on the proverbial cake, and while it wasn’t perfect – BlinkFeed was, and remains a rather polarizing implementation – it still, in the opinion of many HTC One users (including this one), enhanced and supplemented the Android experience, rather than bloating. 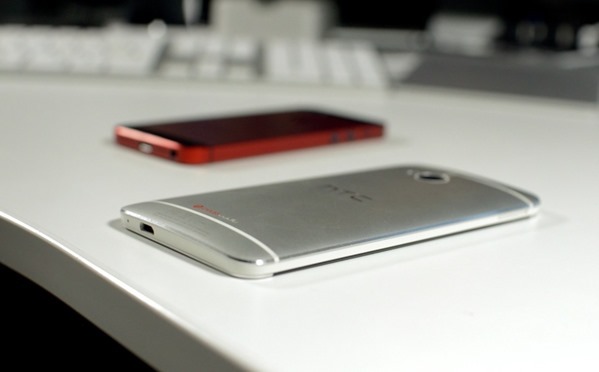 With the HTC One 2 (or HTC M8, as it is technically known) having been leaked quite a few times during the past couple of weeks, we’ve caught passing glimpses of Sense 6 and its various features. Now, though, a video has leaked showing the newly-updated launcher running on an HTC One, and on first impressions, we definitely like what we see. The leak has made its way into the wild via Reddit, or specifically, user user tanghan, and as well as the customary overhauling of the interface, there are several other neat little quirks including double-tap to wake. Check out the video below, which should serve as the perfect teaser before next week’s announcement of the HTC One 2. The device, which will include two rear-facing cameras, is slated for announcement on March 25th, and as ever, we’ll be covering the showcasing from start to finish, so stay tuned!